MyGica ATV586 with built in Digital ATSC tuner Coming Soon! MyGica Headquarters released information about the MyGica ATV 586 DVB-T2 or ATSC. Schedule release date is May 2015. 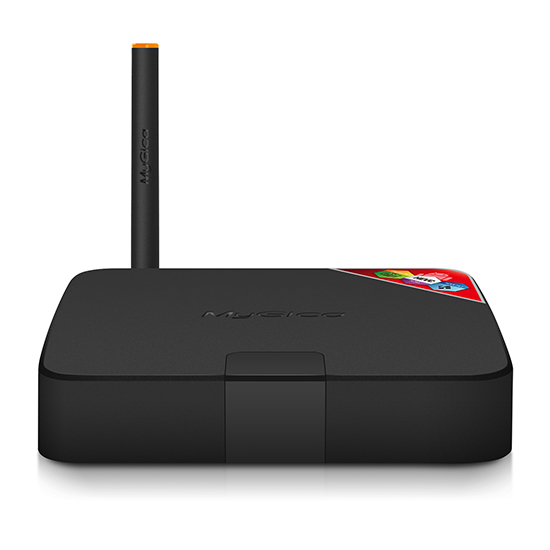 Internet TV and Digital TV gets finally merge together to the first Android Hybrid TV box, a real powerful and easy of use platform for all Free to Air digital TV. Based on Android 4.4.2 (Kitkat), as well pre-installed Kodi (XBMC), youtube, Netflix, hulu and many more, the MyGica ATV586 does not only provide digital TV, it is a platform of freedom. Running Kodi (XBMC) with native digital tuner support, MyGica ATV586 also give the capability to stream from MyGica`s ATV586 your digital TV Program to your smartphone / tablets. By using MyGica’s cutting edge technology, Users you can watch and enjoy digital TV over their Home Wi-Fi on all your smart devices. MyGica ATV586 built with a quad core Processor and quad core GPU, combine with Android 4.4.2 OS, ATV586 gives you very stable, high response speed and smooth control experience. Streaming live TV to you smartphones or tablets . Delivery live TV to a second screen (Android smartphones or Tablets) and enjoy real live digital TV todifferent portable device anywhere at home. Kodi is a media player that allows users to play and view most videos, music, such as podcasts from the Internet, and all common digital media files from local and network storage media. 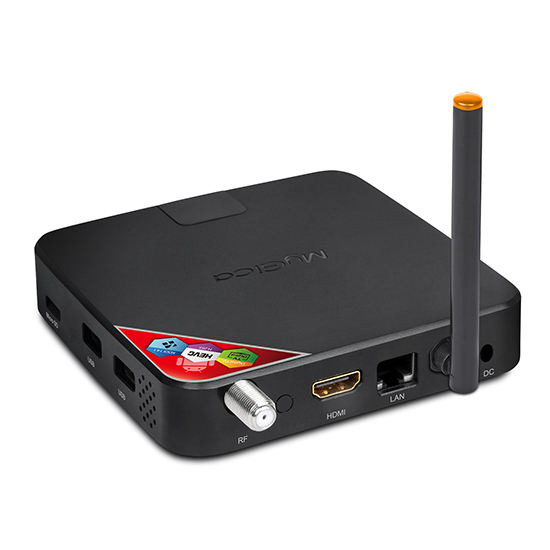 The ATV586 comes pre-installed / customized Kodi (XBMC), with full hardware decoding support. MyGica`s ATV586 has the future build in, the ATV586 support native up to 1080p H.265/HEVC. H.265/HEVC is the new standard and the successor of H.264/AVC. Compare to H.264/AVC, H.265/HEVC data compression ratio is double efficient at the same level of video quality. It can alternatively be used to provide substantially improved video quality at the same bit rate. I just want to say i LOVE LOVE LOVE THIS my MyGica ATV586 !!! This coupled with my LEAF ... I get my local channels ~ and all my streaming options!! How awesome is that !! Do you still sell these? It does not seem to be sold anymore? Why? I want another one! No you don't want one, they are not working well and there is no upgrade path. They are well built - I fumbled with some OTA receivers and this one is pretty strong, for an OTA tuner of any quality, plus you get the android box.